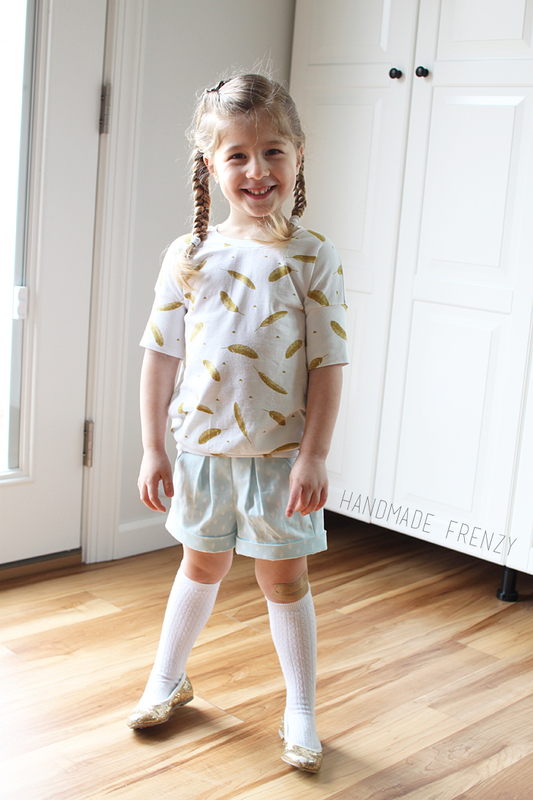 For the baby's first birthday party, I had the crazy notion that we ALL should have new handmade clothes to wear! Well except for my husband... I need to change the none at all lack of sewing for him. I managed to complete 6 items of clothing for the party, with a 7th needing only a hem and a buttonhole. Today Miss Olivia is showing off her new clothes, of which she was quite proud! I actually bought the fabric for both of these pieces over a year ago, thinking they would be perfect together and even with these patterns in mind! How often does that happen?? They are both from Hobby Lobby. 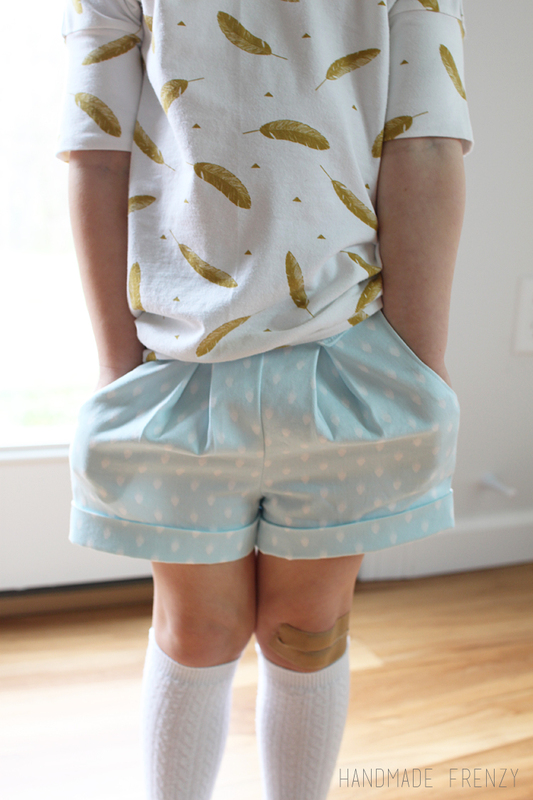 The shorts are my go-to pattern for her, the Clover Shorts (affiliate link) by Mouse House Creations, from the original Willow & Co collection. I even got to test them way back when. They are so good and my affection for them has certainly not changed! For this pair, I went with a size 3 in width and made the rise and length in a size 5. I was feeling, generous, I guess... Because I'm pretty sure I could have got away with a size 3 rise and all would have been well. 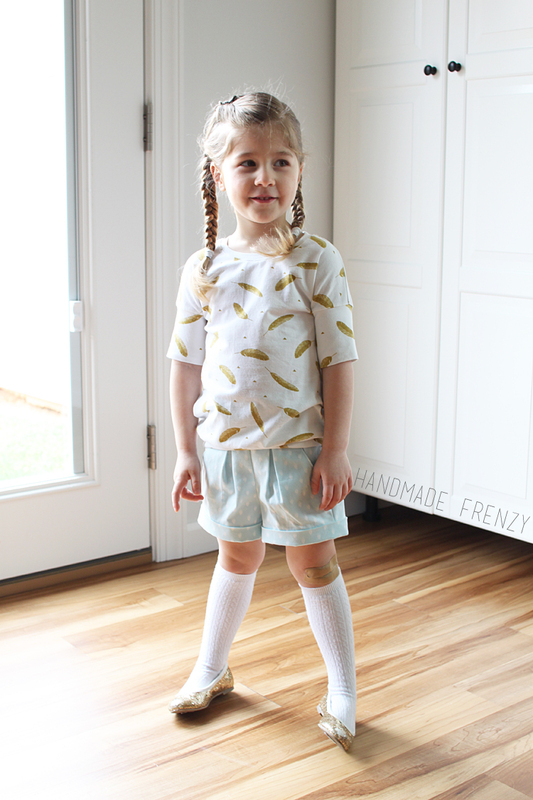 Either way, they are still completely adorable and I can't wait for our warm weather to return for good so we can wear this pair out! I also made an adjustment of which I really am quite proud, but failed to take ANY pictures of with this pair. 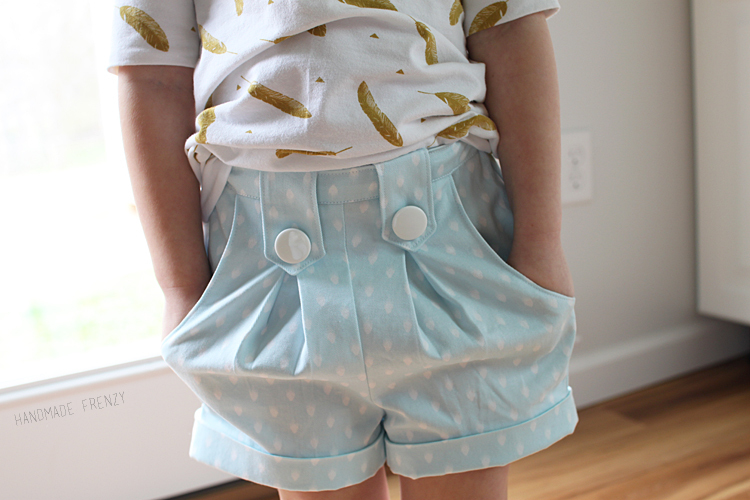 I made the waistband adjustable. So I'm really hoping we can get at least 2 years out of this pair! We shall see. And perhaps some day I'll do a post on how to make any waistband adjustable, the way I did it, because there are a bunch of posts out there already. Perhaps. I can never resist a good contrasting lining. Especially if it involves stripes! 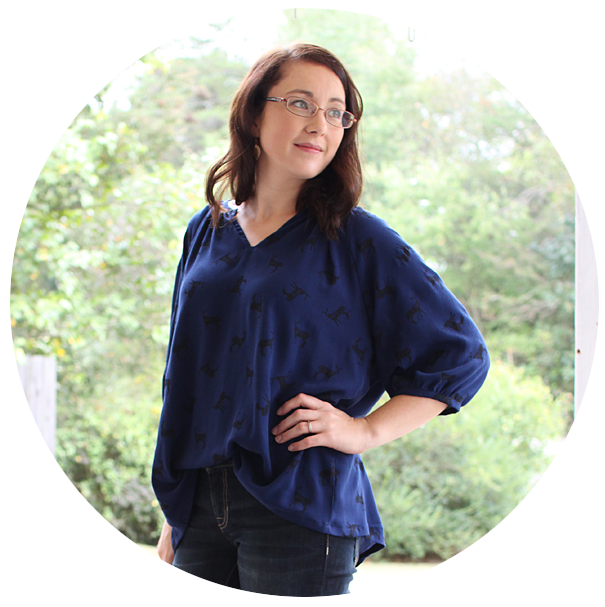 The shirt is the Skipper Top pattern by Sew Much Ado. I also tested this one when Miss O was just itty bitty! For this version I made a straight size 4, and doubled the length of the sleeve cuff so it would be elbow length. I love the result of this very small and easy mod! So there you have it! 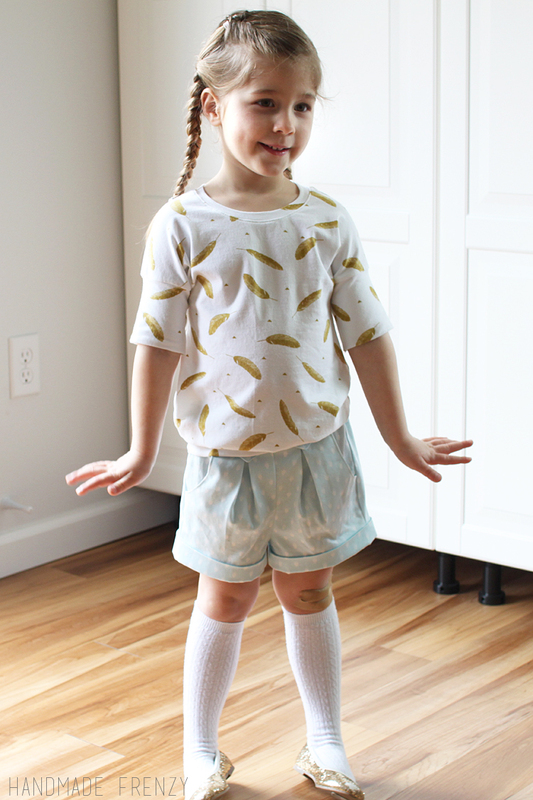 A "wild-ish" (feathers - ahem) themed outfit to go with the theme of the birthday party. Size Sewn: 3 width, 5 length and rise. Made waistband adjustable, no changes made to pattern. Size Sewn: 4, only change, doubled length of sleeve cuff.